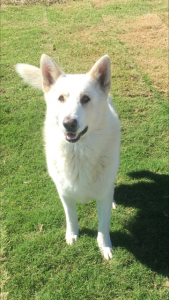 The White Swiss Shepherd Dog Club of Australia Inc., via our Rehoming program can facilitate in finding homes for White Swiss Shepherd Dogs. We are NOT a rescue organisation, but a rehoming service. The WSSDCA can NOT take your dog. Information in relation to dogs needing homes is provided and the negotiation of adoption arrangements is the responsibility of those who have a dog that needs rehoming and the person(s) wishing to rehome that dog. Animals for rehoming are on a 'referral' basis only i.e. The owner of the dog, and the person interested in adopting the dog, are put in contact with each other. We take no responsibility in the decision or choice of the owner giving up their animal to other persons who may provide the dog with a home. FEES: There are no fees charged for this service as the Club’s ethos is to prevent the White Swiss Shepherd breed from being surrendered to the pound or sold/given away via classifieds. However under no circumstances does the White Swiss Shepherd Dog Club of Australia Inc. offer any warranty or guarantee with these dogs. 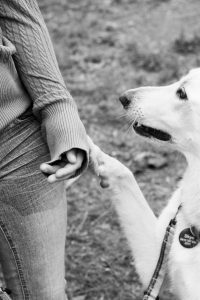 If you are considering finding a new home for your White Swiss shepherd dog, please read the attached article 'Do you really have to give up your White Swiss Shepherd?' before making any final decision. Please contact us and we can check our Club registry for matching microchips and/or use our social media page to share details to the wider community. Coolabah kennels bred female available for rehoming. Snowy is 4yo and has been to obedience. She gets along with horses and most dogs (doesn't like being annoyed once she has signalled she has had enough). Please contact Coolabah Kennels to be put in touch with the owner to discuss if Snowy would suit you. Jet is 6 years old born on the 20/1/2011. Jet is very good with kids and had lived with another dog all his life up until a year ago. He's had no exposure to cats. He is afraid of loud noises eg: thunder, fireworks. Jet is looking for an owner who can spend a lot of time with him. Disclaimer: The White Swiss Shepherd Dog Club of Australia offers no warranty of any kind in relation to any dogs offered for rehoming. The White Swiss Shepherd Dog Club of Australia does not enter into any negotiations between the owner and buyers or rehomers and remains an independent entity. 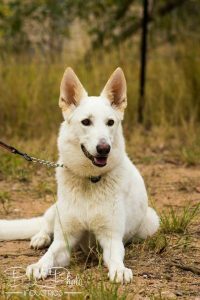 The Committee of the White Swiss Shepherd Dog Club of Australia reserves its rights to decline or withdraw any listing or cancel this site without prior notice.